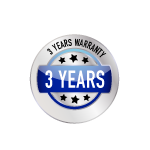 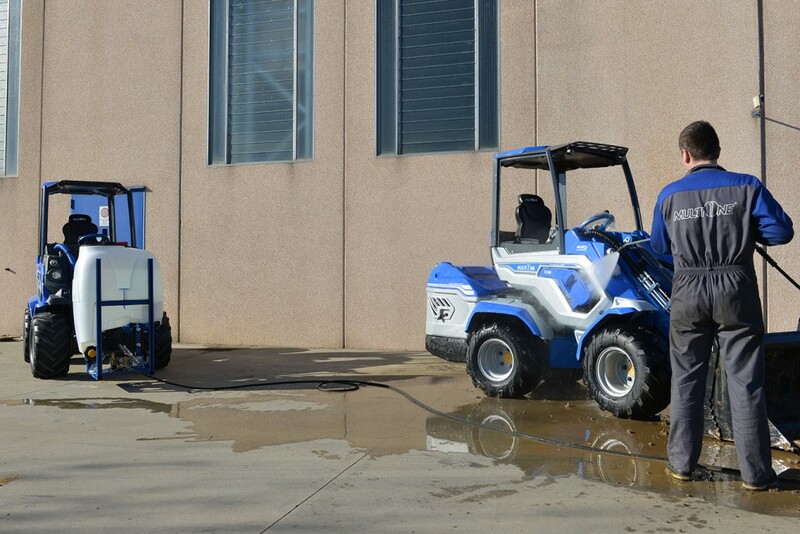 psi) pressure jet cleans dirt, built up and dry mud, waxes, oils, grease, strips old paint, and more from any surface. 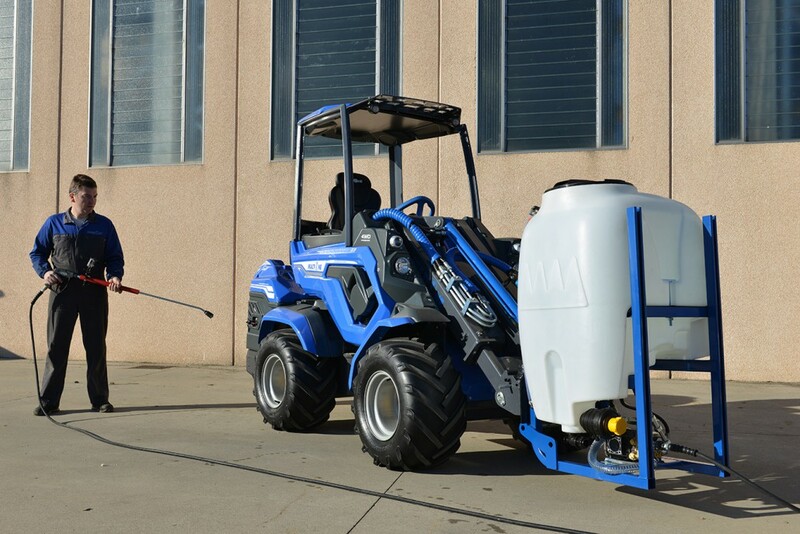 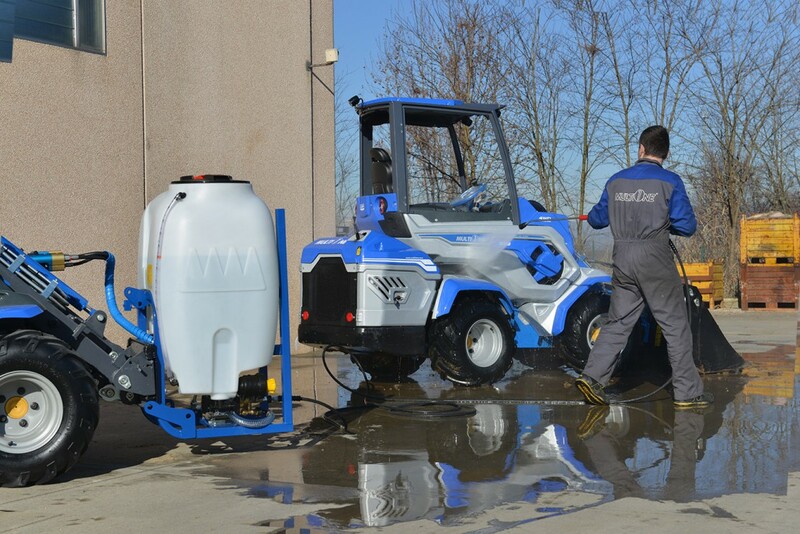 This pressure washer system, combined with the on-board 200 l (53 gal) water tank, makes cleaning buildings and graffiti removal an efficient process. 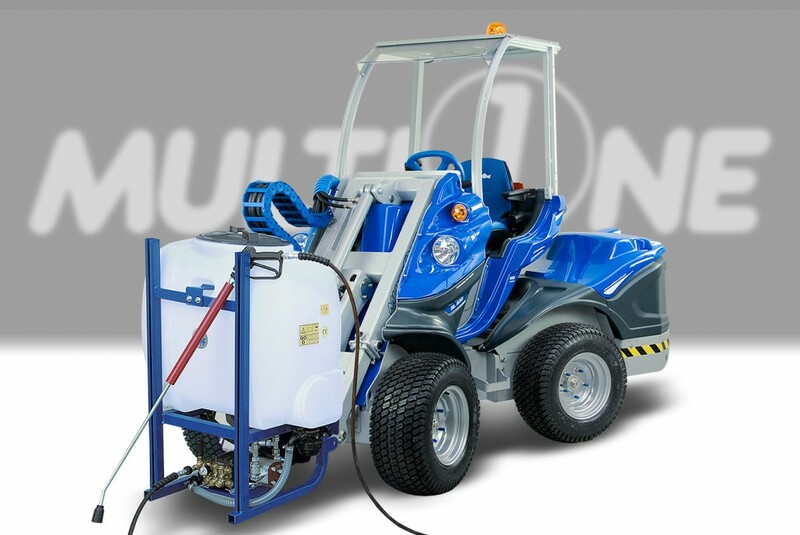 Using the MultiOne’s hydraulic power and portability, this self contained pressure washer system effectivly works in remote locations.